Updates and commentary as the Celtics take on the Toronto Raptors on Friday, March 28. One hour until @BMO Raptors game time. Attending tonight's game? Use your BMO debit or credit card at Gate 1 to get exclusive entry! #raptors with 4 in a row and the game is tied at 101 with 1:14 left. #celtics ball and timeout. And just as you expected, the #celtics go one of their scoring skids and DeRozan hits a runner. 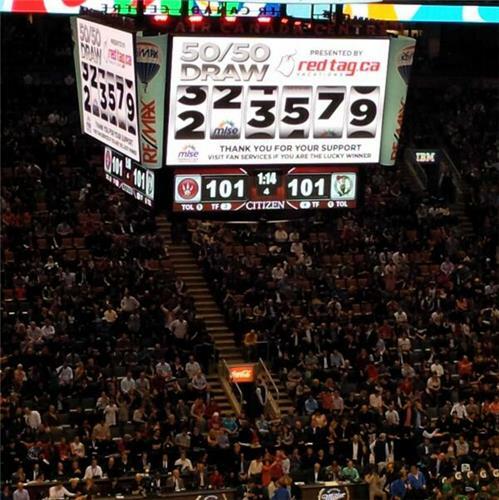 103-101 #raptors 33.5 left. And then Rondo scored a quick layup to give #celtics a 2-for-1. 28.6 left tied at 103. The tankers are cringing. RT @JLew1050 : Casey on DeMar and Amir hitting the final two shots of the game: "It was fitting. They've been through thick and thin here"